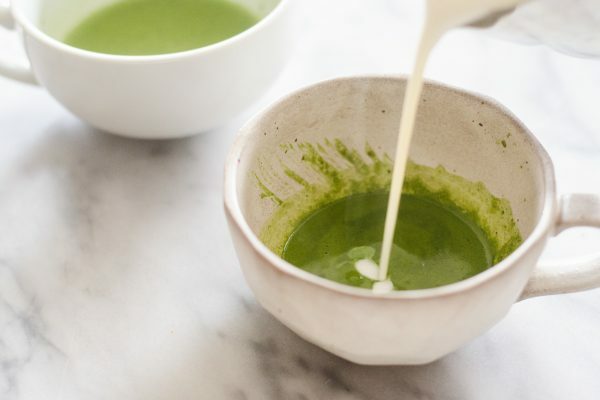 There are many reasons for enjoying a cup of Matcha Green Tea: it is high in antioxidants, detoxifies the body, strengthens the immune system & boosts metabolism. Matcha Green Tea calms the mind, enhances mood and relaxes the body. Put to warm 3/4 a cup of almond milk in a sauce pan over a low heat. Meanwhile whisk together in a cereal bowl or similar, 1/4 cup boiling water with 1 teaspoon of Matcha Green Tea Powder, breaking up any lumps. When the almond milk reaches a low simmer, pour over the tea. Tip the bowl whilst whisking more to create a beautiful green froth.